The plaque psoriasis category is incredibly crowded –and when you’re the 8th to market, you better create something that gets some attention. Rather than show beautiful people with big smiles and a wonderful life, we captured “real-life” moments at home, in the office and out with friends, where you can actually see the inflamed skin and flakes on the sufferers as well as the uncomfortable emotional reactions that follow. 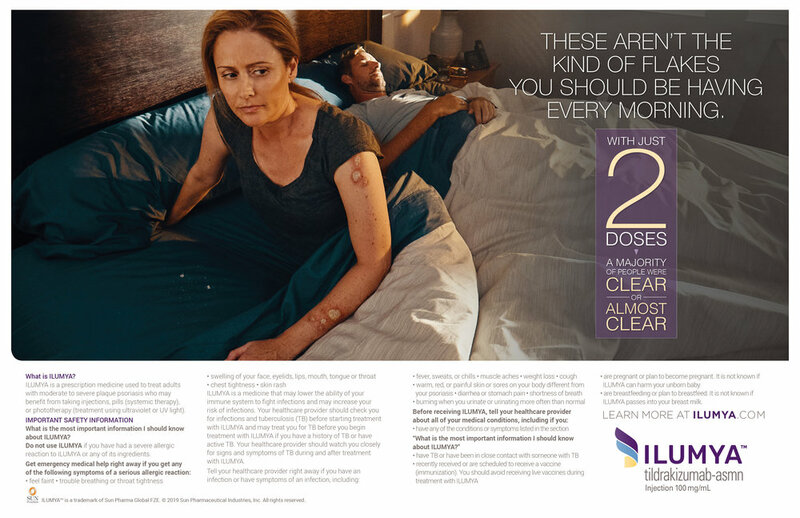 Being honest about the hidden truth of psoriasis (flakes left behind), we created a feeling of trust and empathy, which in turn helped to motivate sufferers to learn more about ILUMYA from their doctor.